Professor David Victor delivers stiff warning from Nature: “Global warming will happen faster than we think”. 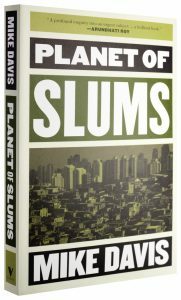 Then we talk with Mike Davis, author of “Ecology of Fear” and “Planet of Slums”. In 1990, Davis explained why California would burn. We get his reaction to being too right. I live on a very small income, mostly my old age pension, along with donations from listeners. Contributing listeners also pay for free distribution of all programs to people all over the world via the Internet. The 100 non-profit radio stations who broadcast Radio Ecoshock weekly get the program for free. It is a labor of love, carried out weekly for 13 straight years. If you can afford a donation of any amount, I would be grateful. I especially appeal to podcast listeners to “subscribe” as a monthly donor for $10 a month. That would be $2.50 a podcast. It’s not a bad price for a pipeline straight to the minds of the top climate scientists, and social activists of our time. If this program helps you, please help me help others. Various options are here. You may believe climate disruption is arriving sooner than we were told. You are right. Three power-house scientists have published a warning: “Global warming will happen faster than we think.” They explain three emerging threats that combine to bring climate danger out of the year 2100, and right into the next decade. Our guide to the Comment published by the prestigious journal Nature in December, is co-author David G. Victor. At the University of California San Diego, Dr. Victor is a professor of international relations, and director of the Laboratory on International Law and Regulation. He is a connected guy, often producing reports for the Brookings Institution, while publishing articles in magazines like The New Yorker. David Victor is author of the book “Global Warming Gridlock” published by Cambridge University Press. The lead author of this faster warming paper is Yangyang Xu is formerly with the Scripps Institution, and now an assistant professor of atmospheric sciences at Texas A&M University. I will be speaking with Dr. Xu about his other work on the tricky question of pollution cooling Earth in another program. The “aerosol” question is generally left out of what you have been told about global warming. For example, the projections of the Intergovernmental Panel on Climate Change on the amount of warming to expect, does not realistically account for the hidden warming that appears when we clean up the air (in my opinion). Yangyang Xu has studied this extensively, especially in the prime country that matters now, in China. But that is a story for another show. This paper “Global warming will happen faster than we think” does factor in cleaner air, listing it as one of three causes that will propel near-term warming above previous predictions. I think we are experiencing the opening burst of that heating now, including in the Northern Hemisphere in the past summer, and in Australia now. Each year is hotter than the last, with a heat rash breaking out over the planet starting around 2010. “Three lines of evidence suggest that global warming will be faster than projected in the recent IPCC special report. First, greenhouse-gas emissions are still rising. In 2017, industrial carbon dioxide emissions are estimated to have reached about 37 gigatonnes 2. This puts them on track with the highest emissions trajectory the IPCC has modelled so far. This dark news means that the next 25 years are poised to warm at a rate of 0.25–0.32 °C per decade3. That is faster than the 0.2 °C per decade that we have experienced since the 2000s, and which the IPCC used in its special report. Second, governments are cleaning up air pollution faster than the IPCC and most climate modellers have assumed. For example, China reduced sulfur dioxide emissions from its power plants by 7–14% between 2014 and 2016 (ref. 4). Mainstream climate models had expected them to rise. Lower pollution is better for crops and public health5. But aerosols, including sulfates, nitrates and organic compounds, reflect sunlight. This shield of aerosols has kept the planet cooler, possibly by as much as 0.7 °C globally 6. DOES A HEAT BURST FORCE THE NEED FOR GEONENGINEERING? Our guest David Victor specializes in application of regulations, with special interest in the operation of very large power plants and petrochemical facilities. In 2008, he published a paper in the Oxford Review of Economic Policy about regulation of geoengineering. When it comes to geoengineering, please do not confuse the views of my guests with my own views. You can see what Harvard said about it in this science news item, published November 22, 2018, by the Institute of Physics “Could an anti-global warming atmospheric spraying program really work?” The paper in Environmental Research Letters is here. CNN did cover this paper, but badly, from the viewpoint of reporting on science. I wouldn’t take the CNN article as the final word, when you make up your own mind. I may eventually interview the co-author Gernot Wagner, who has appeared on Radio Ecoshock previously. By the way, you can read about the latest real-world experiment with the materials needed for geoengineering (by Harvard) here. It’s called “SCoPEx”. The full title of that report is: “The 2018 report of the Lancet Countdown on health and climate change: shaping the health of nations for centuries to come“, led by Nick Watts and published November 28, 2018. David Victor refers to advanced natural gas capture and storage project being tested now outside Houston Texas. Here is an article about that by David Roberts. Finally, I worry that we are approaching a perfect storm which could make real climate-saving action impossible. It could be economic breakdown, government shut-down, or civil disruption – all in a mix of record storms, floods, drought, and fires. Could we reach a point where talk of policy and regulation is futile? Are we already there, with a shutdown of the American government, shattering of previous alliances, and a split between far left and far right in many countries? When California burned in 2018, I thought of Mike Davis. In the early 1990’s, Davis wrote books explaining why all this was inevitable. Davis grew up in Southern California, where he became a powerful Leftist voice and celebrated author. From “Beyond Blade Runner: Urban Control, The Ecology of Fear ” to “Planet of Slums” everyone has felt ripples from his work. Mike Davis is a Distinguished Professor in Creative Writing at the University of California, Riverside, and an editor of the New Left Review. Here is a biography of Mike Davis, from his start as a slaughterhouse worker to one of the most respected voices of his time (progressives will say). I appreciate getting the reminder about Davis from a Radio Ecoshock listener, with her suggestion to do this interview. This should be a classic recording to stand the test of time. Link to it any time. Also important (so many important books!) is this one: “Ecology of Fear: Los Angeles and the Imagination of Disaster” (1998). I hope Mike will forgive my interpretation of one aspect of his work. We may think the many dangers in every city, like Earth Quakes or nuclear power plants, would chase people away into the countryside. But Davis explains and outlines the ways that cities bind us to them, expressly in the atmosphere of fear, as part of an “ecology of fear”. All of that is also sold to us as part of the real estate pyramid that seems to force us to labor for billionaires in jobs we don’t really value. Los Angeles especially, with the help of Hollywood and California media, keeps millions entranced in a dangerous dream. In his 1992 book “The Ecology of Fear”, Davis wrote a lot about human incursion into fire areas, and the inevitable blow-back of wildfires into suburbs and monster homes in Malibu. How does that feel after terrible fires hit both southern and northern California in 2018? Many of the burned out homes in Paradise California belonged to low income people. Few had fire insurance. Now Donald Trump wants to cut off FEMA aid to California fire victims. Once again, as in Puerto Rico, the poor are set up for a big fall as climate disasters roll through unsustainable lifestyles. We briefly discuss the relationship between Mike’s 1990 book “City of Quartz: Excavating the Future in Los Angeles” and “Beyond Blade Runner: Urban Control, The Ecology of Fear” two years later. We also discuss his book “Late Victorian Holocausts: El Nino Famines and the Making of the Third World” (Verso 2000). It is one of the few platforms to discuss an inevitable mass death in our future. I think of Russia closing grain exports during the 2010 heat emergency (while one third of Pakistan lay underwater). Will famine return, but this time to a vastly larger population? As rising sea levels take away vast areas of delta croplands, from hundreds of millions of people, at a time of huge population expansion, I can’t see any way we will avoid mass deaths in the next fifty years. That is my horrible opinion. I read Mike’s 2006 book “Planet of Slums: Urban Involution and the Informal Working Class”. Will slum anger tearing down the system, and if so, can it build something new? Where does that underclass anger fit into the election of climate-deniers like Donald Trump, or Jair Bolsonaro in Brazil, or even protests against the carbon fuel tax by the Yellow Vests of France? Let me tell you my own slum story. During the first UN Earth Summit in 1992, the police cleaned by murdering street kids. The downtown towers were surrounded by tanks. A coalition of the two most powerful groups in the slums, the Church and the gang leaders, organized a media tour through the Favelas, including television cameras. I was there. In something labeled as a “school” – it was a single bare room with no desks or pencils – we found magazine photos mounted on the wall. The impoverished kids dreamed of Mercedes Benz cars and haciendas of the rich. It looked like everyone wanted to be a rich capitalist. Has that changed? Mike documents how people can live in terrible slum conditions. Over a billion humans do. I suppose when Miami floods regularly along with Shanghai, and other disasters tear away the fragile fabric of mega-cities – that’s what we’ll get: more slums in developed countries. It is already happening in California. 2. “the big red scrapbook, paper memories – the revolution and anti-colonialism” – assembling found objects to express a past. In this work, Davis is “letting the objects themselves tell stories” It will be mounted on the web site of Verso Books, posted in weekly or bi-weekly installments. He has 150 items already, so that could be a long-running virtual art project and social history. I want to see it. Find more articles by Mike Davis at The Rag Blog. That’s the whole story. Thank you for listening this week, and caring about our world. What environmental problems have we solved in the past? 3. Pacific ocean decadal oscillation is poised to crank up the heat volume for the next 20 years. Gaia is in menopause and is being hurt from more directions than a black women by intersectional bias. The report didn’t mention other accelerants like uncounted fracking emissions, unmodelled permafrost wetland methane acceleration, and the countless unknown unknowns guaranteed to date this article within the decade. One of these unknown thingys is the vitamin B1 deficiency turning up in various areas all over the world. What’s scary about this story is that it affects both fish and seabirds. Another unknown is how all the melting ice at the poles is affecting volcanoes, earthquakes and magnetic pole flip. I suspect these things are somehow related. I don’t know how. Yellowstone supervolcano is a real growing concern. Nobody who’s a geo-geek trusts the USGS on this, nor should we trust the UK Express either. The Express never met a volcano story it didn’t like. Then we come to the known unknowns, human stupidity. China has cut its solar panel program 40% because no figured out how to integrate all the panels into the grid. They didn’t figure it out because it costs more money. The next 10 years we expect world energy to rise 10% and emissions to rise 15%. To avoid mass extinction emissions must decline 50% in the next 10 years. It’s all about surviving, the debate is over sadly, there may have been a chance to avoid runaway climate change if we had acted, even ten years ago, but that window of opportunity has passed and the first thing to go will be social structure, environment and then 80% of life on Earth. excellent broad brush perspectives this week. Victor sounds conventional neolib strategist right at home at World Economic Forum with Prof KIaus and the Fourth Globalization. Wish Jack Alpert could debate them about population’s natural limits and what will happen when the population crashes. No way we’ll see 9B humans ever, no need to feed them either! Think of how much carbon sequestration we can do then. If we wake up to the threat of ozone killing trees that is, as Gail Zawacki ably documents.